The NFL star is denying a report, with help from the former White House press secretary, that he used human growth hormone. DENVER: Peyton Manning has hired former White House Press Secretary Ari Fleischer after a report surfaced this weekend saying the star quarterback used human growth hormone during his record-breaking career. Fleischer spoke to media outlets on behalf of Manning on Saturday night denying the report. He told the Denver Post, "There’s no truth to it…What they have is a well-known con man from England who secretly recorded a former intern." 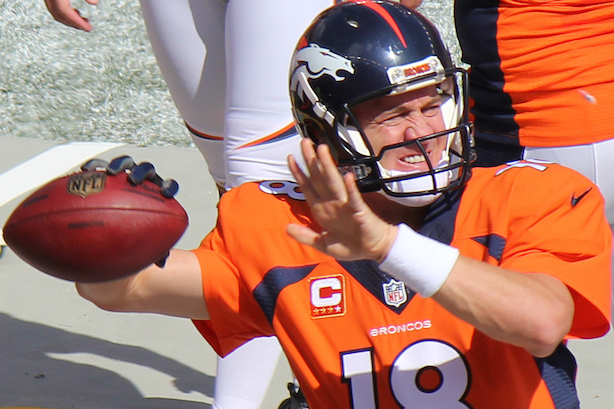 As Manning has pencilled his name in the NFL’s record books — he holds many of the league’s all-time passing records — he has also become one of the most prolific celebrity spokesmen in the US. He made $12 million, tops among pro football players, this year from off-the-field endorsements, and is a pitchman for brands including Papa John’s, Buick, and DirecTV.